Working with the Pennsylvania Avenue Development Corporation (PADC), OvS played a pivotal role in the effort to revitalize the area known as the Pennsylvania Corridor, the swath of Pennsylvania Avenue that radiates from the U.S. Capitol to the White House. The firm’s redesign all of the plantings from the U.S. Treasury to the National Gallery, including Freedom Plaza, Pershing Park, and the Meade Memorial, eliminated the typical austere hedges and annuals for which DC was known. OvS focused the planting plan on robust perennial borders, trees, and grasses. The firm choreographed seasonal plantings along twelve blocks of America’s Main Street, providing exuberant displays of bulbs, annuals, perennials, and non-hardy grasses. OvS joined the leading modernist landscape architect M. Paul Friedberg to transform Pershing Park and into an intimate sanctuary in the midst of the downtown business district. As the landscape architects of record, OvS humanized the street with color, texture and movement, transforming a hard-edged urban space into a lush, green oasis in the middle of the city. 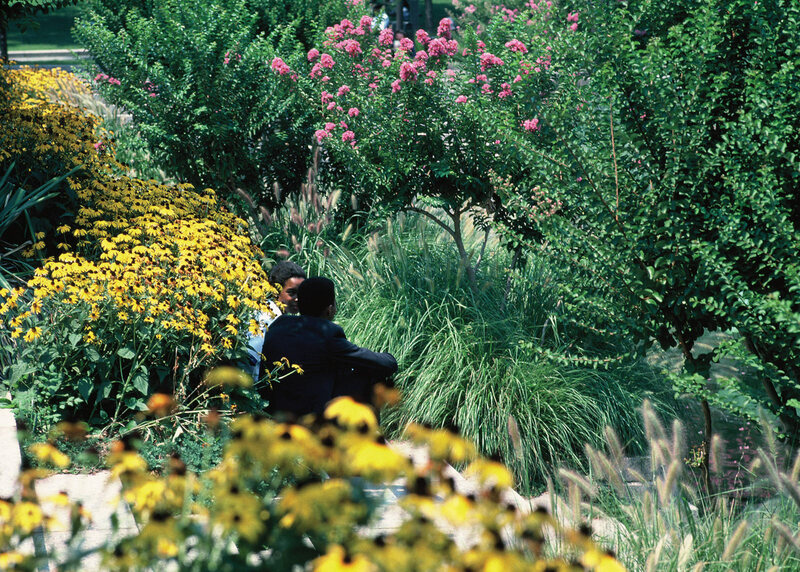 The park’s plantings celebrate all four seasons with native, American plant material. 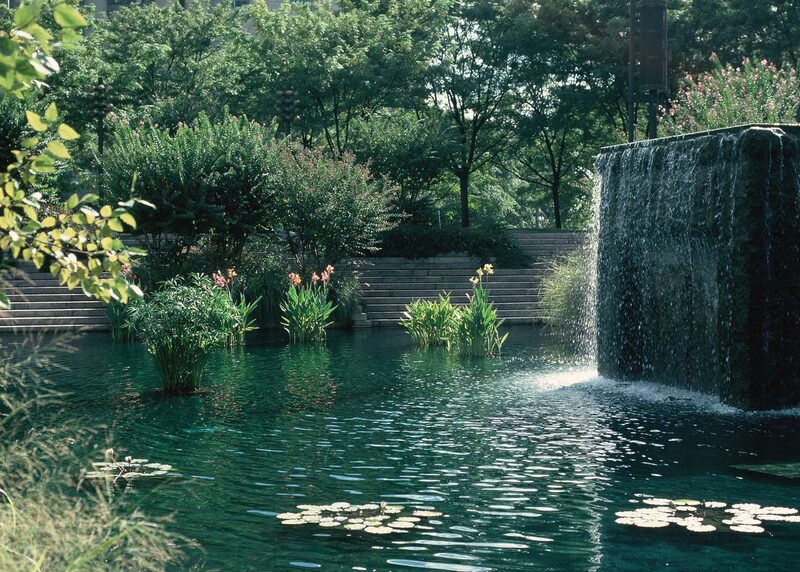 The shallow pool in Pershing Park served as a water garden, complete with water lilies, lotus and bog plants in the fountain pools, but also a skating rink in winter months. Intimate gathering spaces with tables and chairs allowed visitors and tourists to enjoy the natural world just outside their office buildings and steps from the White House. 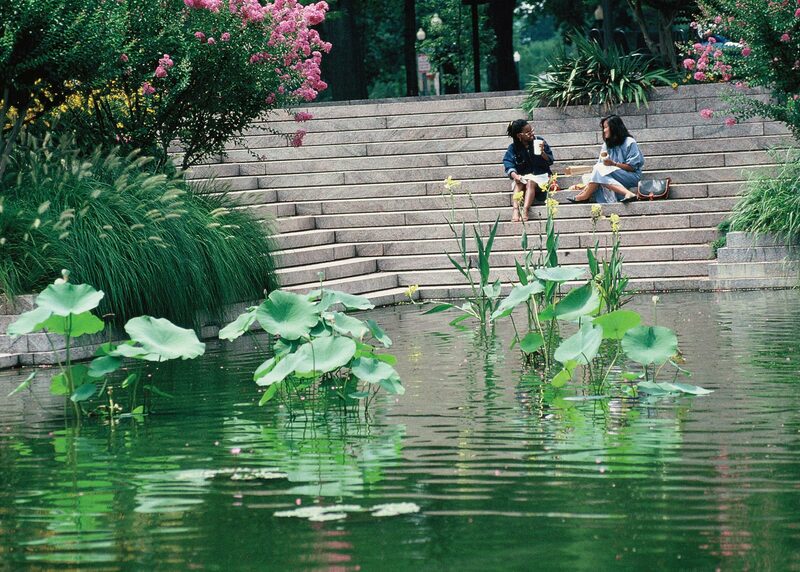 Since the termination of PADC in 1996, Pershing Park’s condition has continually diminished. In 2014, the U.S World War I Centennial Commission sought to redevelop Pershing Park as a National World War I Memorial. The Commission created an open design competition, and nearly all of the 350 initial proposals called for the complete demolition of this unique effort by OvS and Friedberg. 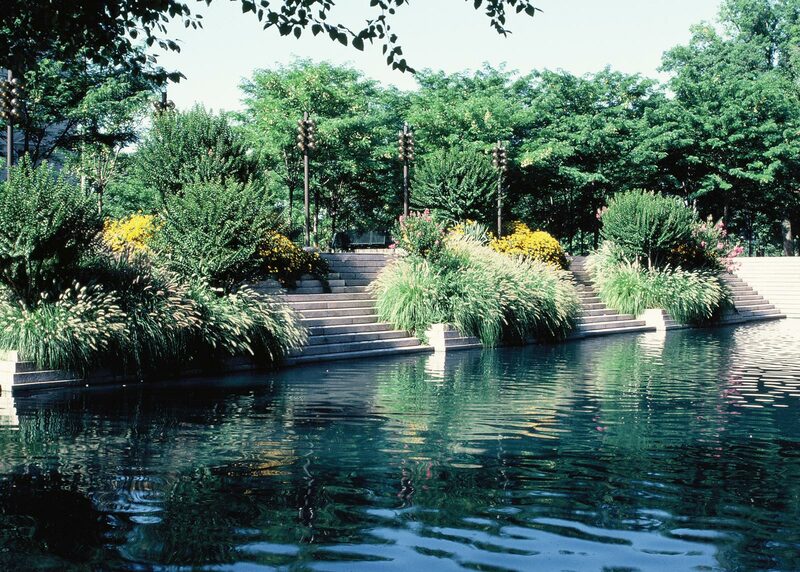 OvS, along with The Cultural Landscape Foundation and other architectural organizations, urge the National Park Service to include Pershing Park in the National Register of Historic Places and preserve the property, dedicating the appropriate funds to reinstate the park it to its original design and intended use.